Little Rays of Sunshine! : Be All You Can Be! 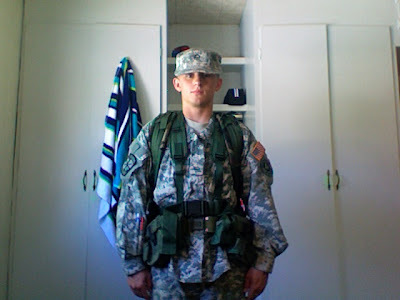 This is Benjamin Brown the newest cadet in the BYU ROTC program! in who knows where. He sure looks cute doesn't he? haha we love you Ben, way to go! That is so embarrassing. You are a very sneaky woman Denee. You could have at least put up a picture that reveals my huge muscles! Very disappointing.